The Monasteries of Meteora are one of the world’s best kept secrets. 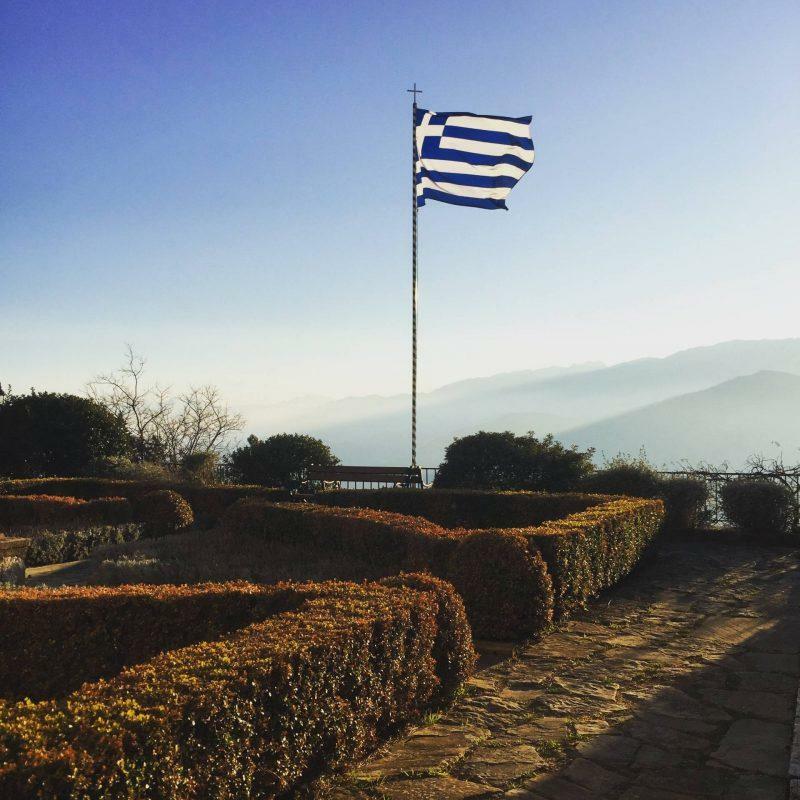 Just five hours north of Athens you’ll find a real-life Game of Thrones location, with 6 working monasteries built on top of impossibly shaped rocks. This is Meteora, Greece. 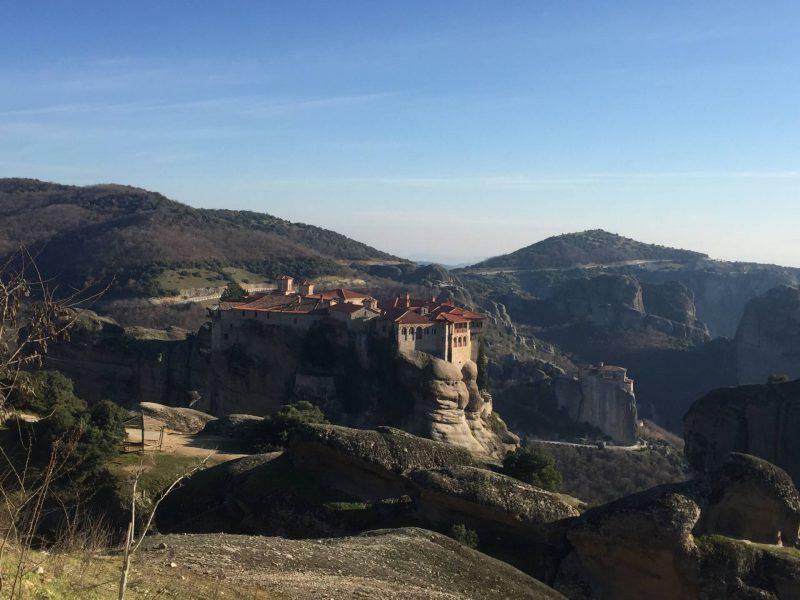 The landscape may seem familiar, having served as the motivation for the fictional city of Eyrie, but very few people are actually aware that Meteora exists. This is because the resident monks are doing their best to keep the site a secret. 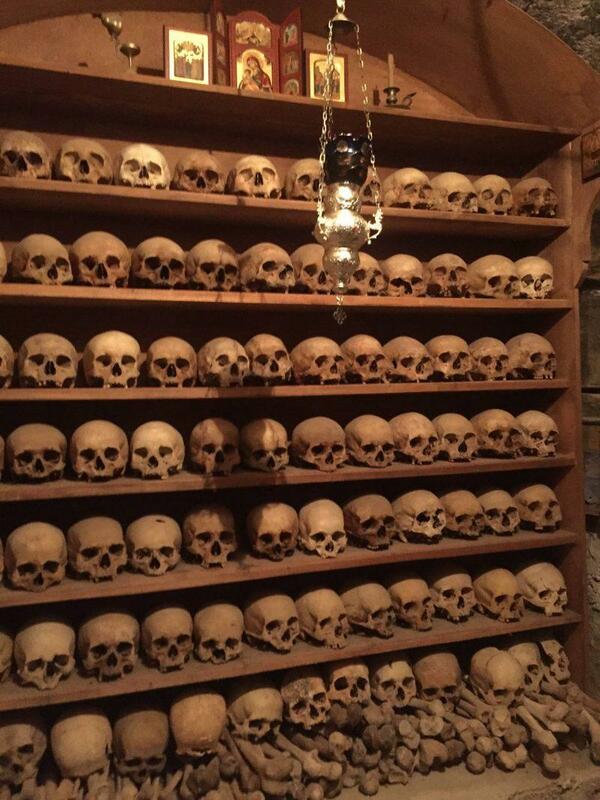 After all, their numbers have gone from 24 working monasteries to 6, since it’s nearly impossible to live a monk’s lifestyle while dealing with an influx of 3,000 to 4,000 visitors a day. There’s no escaping it–the secret’s out. And interest in the area has been growing exponentially since UNESCO declared the rocks a World Heritage Site in 1988. Once I saw a picture of this place, I knew I had to visit. The decision was an easy one given that I visited Athens in January, so an excursion to the Greek islands was out. If you’re interested in seeing this amazing, once in a lifetime location, here’s everything you need to know to plan your visit! You can reach Meteora by car, bus or train. The cheapest and only non-stop option from Athens is the train, which you can purchase online here. I highly recommend booking in advance as the trains sell out quickly and have limited departures. 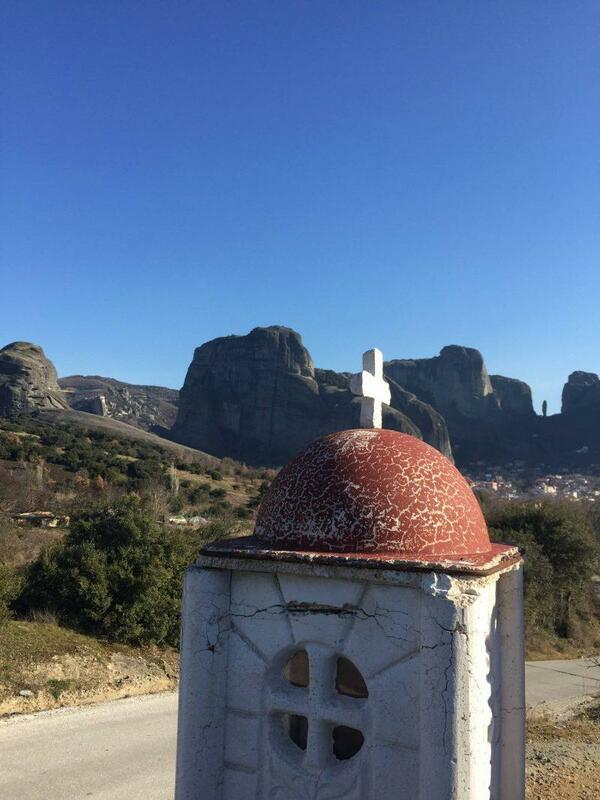 Trains leave from Larissa Station and arrive in Kalambaka, the town at the foot of the monasteries of Meteora. You can choose your seat online, they’re all basically the same coach seating with space for your luggage overhead or in luggage racks at the entrance of the trolley. There are bathrooms on board but they’re not always well stocked so bring your own toilet paper and soap if possible. I left from Athens at 8:27am and arrived at Kalambaka (the town at the bottom of the rocks of Meteora) at approximately 1:40pm, taking a little over 5 hours. Note that while the departure time is strict, the arrival estimate is usually delayed by at least a half hour. Also, while a taxi into Larissa Station only cost me €4, leaving I paid €20, with the driver citing an alleged hike of prices for taxis leaving from the train station. Given the influx of other passengers disembarking and waiting for a taxi and my desire to check into my AirBnB apartment at then 11pm at night, I acquiesced to the price hike. 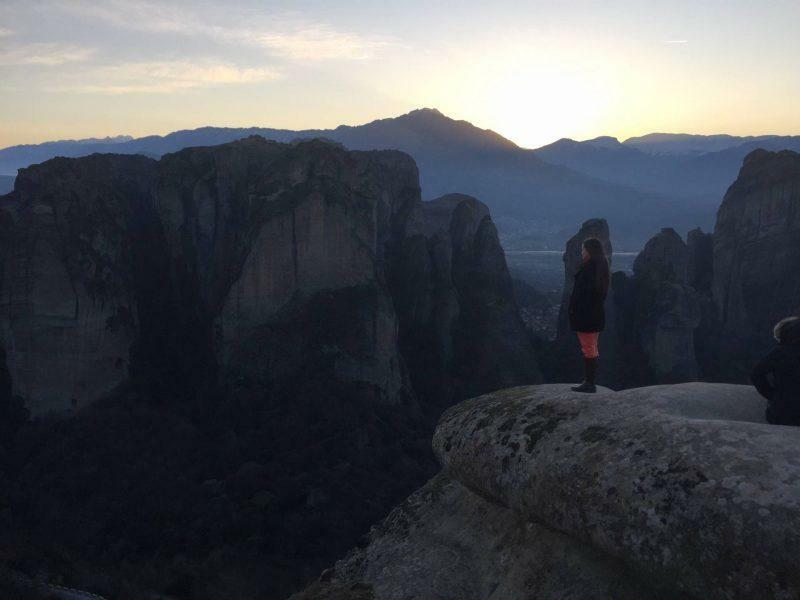 You also have the option of driving yourself to Meteora with a rental car, which allows you to see other stops along the way like Olympia and the Oracle of Delphi. This is the best option if you’re looking for flexibility since it’ll be hard to take public transport to those areas from Kalambaka. Your last and least convenient option is the bus. You leave from Liossion bus station in Athens and connect in Trikala before ultimately arriving in Kalambaka. Tickets are purchased at the bus station with cash and the bus schedule can be found here. 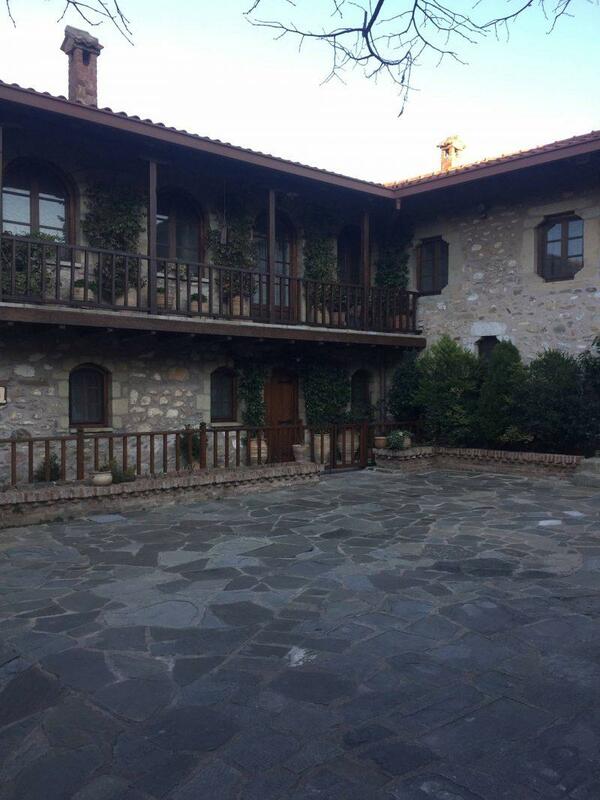 There are two towns at the base of Meteora with options for lodging at all price levels–Kalambaka and Kastraki. Both are easily accessible and immediately adjacent to each other, with Kastraki being slightly closer to the rocks. 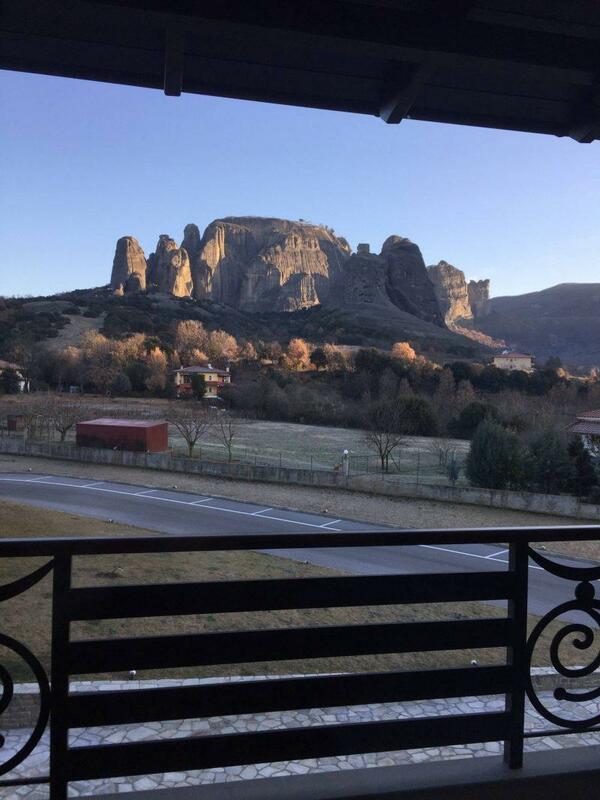 I stayed in the Grand Meteora Hotel in Kastraki for the view (pictured above), and I was not disappointed. Everything about the hotel was comfortable. Seemingly endless hot water, a plentiful breakfast buffet and the chance to snuggle up by the fireplace in the main lobby. Not to mention, the staff was polite and accommodating. Getting around here is easy. 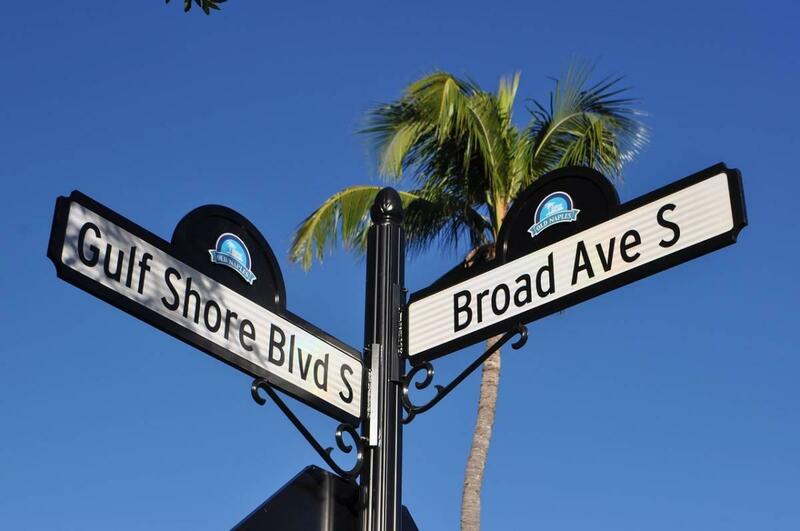 If you have a rental car, there’s really only one main road and a ton of signs so you can’t get lost, drive your heart out. If you’re on a budget, like me, there’s taxis for €5-7 a trip depending on where you’re going, and you can plan it out such that you don’t have to take more than 2 taxis a day. Panellinio. Panellinio. Panellinio! I cannot say this enough, hands down the best food I had my entire time in Greece. The moussaka came straight from heaven and they served the most amazing, melt-in-your-mouth lamb I’ve ever tasted. I went back here twice, that’s how good this place was! They have an open kitchen, so you can see the chefs working away, and I had a chance to meet them. They are hands-on, no catered or frozen meals here. Everything is authentic and fresh, just trust me and go, your taste buds will thank you. There are 6 working monasteries in total, 2 of which have nuns. Of course, the monastery run by females is the most decorative and well maintained of the bunch, so don’t miss a stop at St. Stephen’s monastery if you’re limited on time. You can’t see all 6 monasteries of Meteora in one day because they alternate day that they close, so if possible go for an overnight trip. Women will need to wear skirts to enter the monasteries, and cover ups are they’re provided at the entrance if you are not appropriately attired. 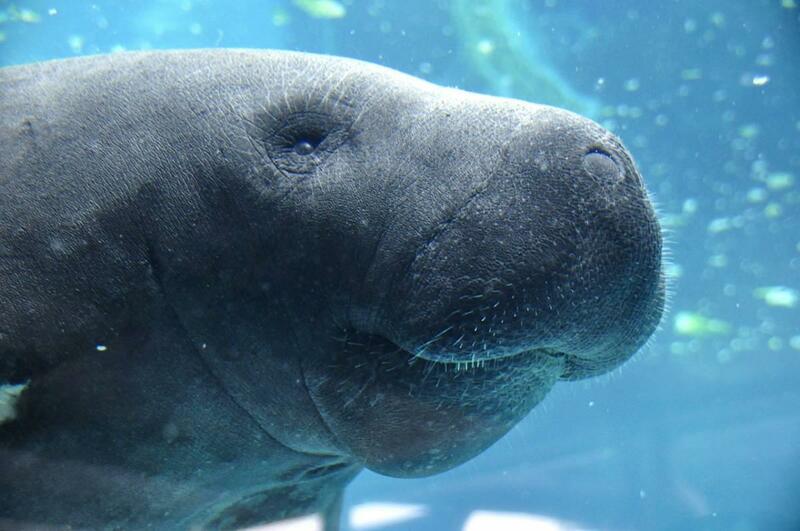 The fee to enter is €3 per person and is not included in most tours. It’s cash only and small change is highly encouraged. Their schedules vary depending on the season (winter or summer) and they close on different days. You can see the full schedule here. 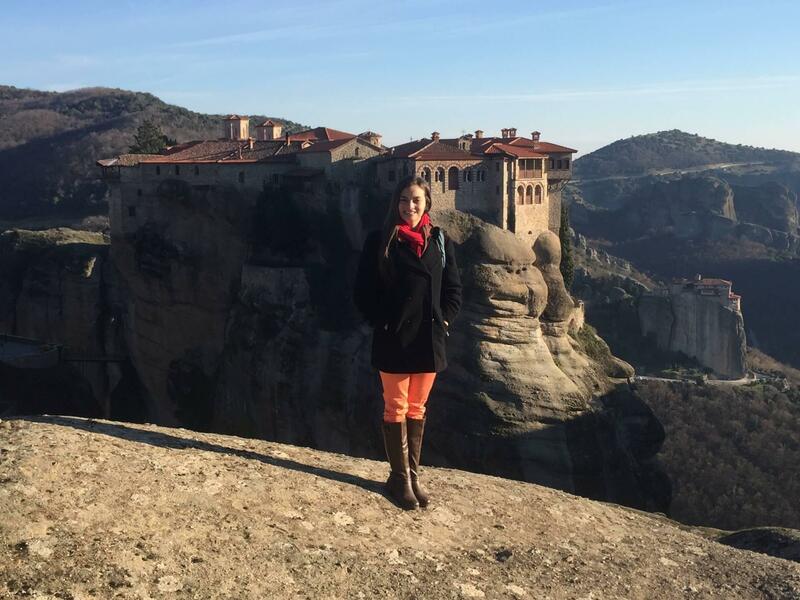 There are currently two tour groups operating in Meteora–Visit Meteora and Meteora Thrones. Simply by means of having come across them first, I went with Visit Meteora and booked their winter special for two consecutive trips. Half price, as if you needed another reason to visit in the off season! I don’t have anything to compare them to, but my experience was pretty out of this world in both instances. First, I signed up for the sunset tour at 2pm. Recall that I told you the train arrived late at 1:40PM–by the time I got to the hotel to check in it was 1:55pm and they showed up early. So off I went without freshening up, hence my less than stellar appearance in some of these photos. That said, these guys are experts at capturing the scenery of the location and know the best spots to pose given the light and time of day. Even better, they will gladly take dozens of photographs of you upon request. If you’re looking for social media friendly shots of the monasteries of Meteora, this is the tour for you. I took all these photos in this post with an iPhone 6. While I wish I’d had a DSLR camera for the trip, I was amazed at the results on my camera phone alone. In addition to being great photographers, the guides were also storytellers and regaled us with tales of the tradition behind a rock climbing competition in the city with a scarf as the prize. Up for grabs? The chance at eternal love. 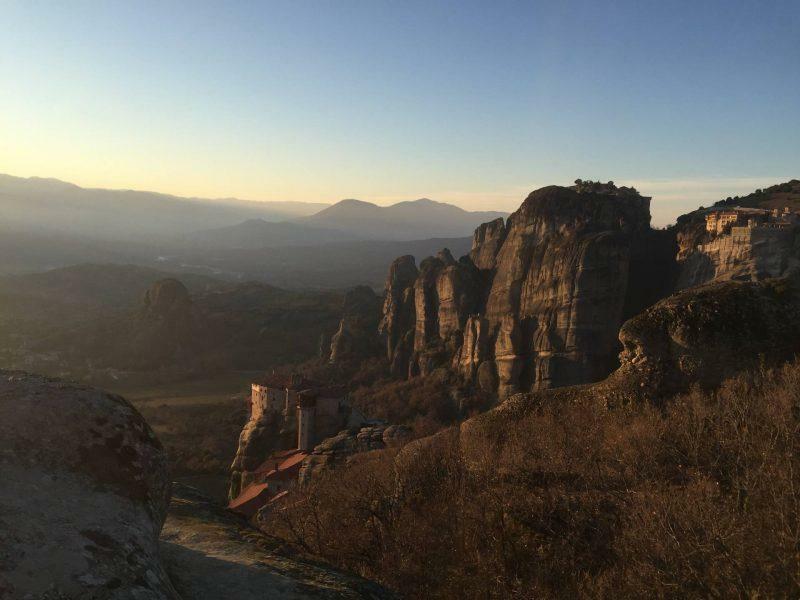 You’ll leave the monasteries of Meteora with not an appreciation not only for the nature and surroundings, but local culture as well. If you’re even moderately fit, I recommend hiking the area in the morning. You can do this yourself as the trails are well carved out, but I would highly recommend going with a guide as they’re familiar with the rocks and can offer insight that going alone will not provide. Our guide grew up hiking and playing on these mountains and knew them inside and out. He showed us how the monks built the monasteries of Meteora with limited tools and manpower and even showed us a spot where we could step inside a 600 year-old hollow tree. Don’t forget to support the monasteries and do a little shopping before you leave. 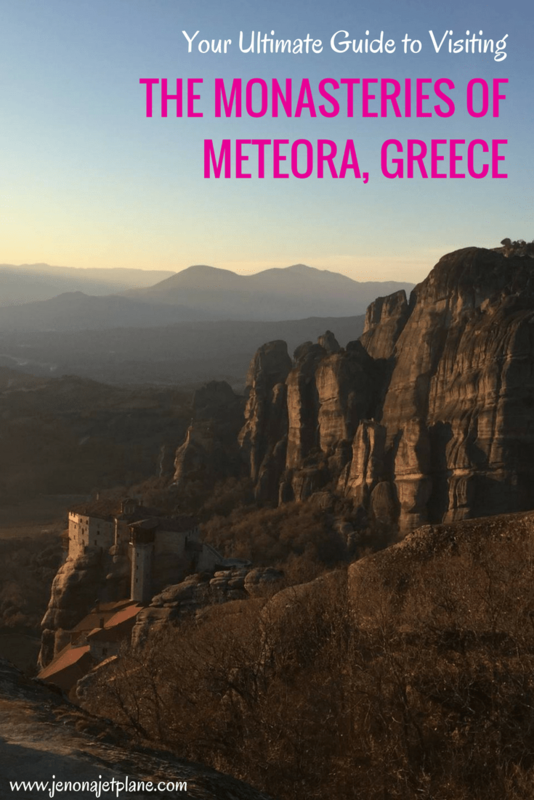 There are so many reasonably priced items available, including handmade soap with Greek olive oil, hand-stitched linens and even rock jewelry so you can take home a rock from Meteora, all for under €1o. 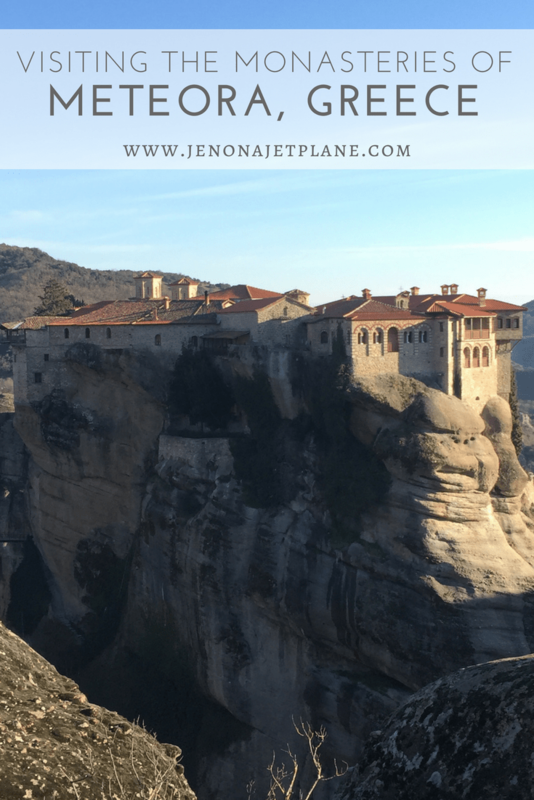 Do you have questions or thoughts about the monasteries of Meteora? I’d love to hear from you. Brilliant piece on Meteora, best one I have read so far. 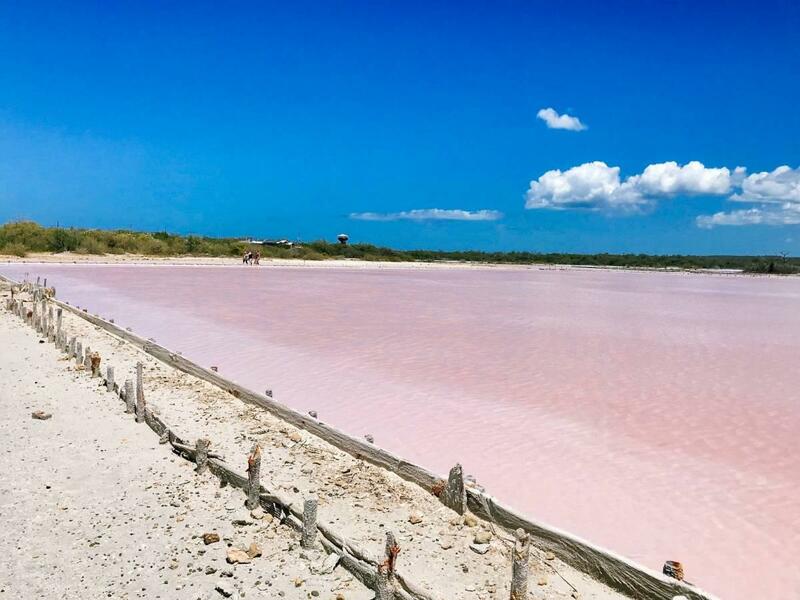 Will definitely be following all your tips when we visit next year. Thank you Penny! 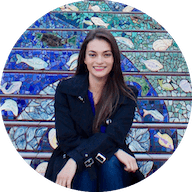 I hope you have a great visit, let me know if there’s anything else I can help with in your planning process!